Dr. Terry Lyles holds a PhD. in psychology and is recognized as a national/international educator, author and speaker to universities, schools, Fortune 500 Companies, world-class athletes, and public audiences. He teaches groups of all ages how to Navigate Life Storms and enhance performance through integrating psychological and physiological tools, metrics and practices. . The secret to good stress is found in the alignment of mental, emotional, spiritual, and physical capacities, combined with work/rest cycles at home and at work. The backdrop of this unique technology stems from merging sports science, biotelemetry, predictive analytics and performance psychology in ways that yield quantifiable results. Stress must always be put in the proper context of its metaphorical storm….The corporate world calls these storms STRESS, the sports world calls them COMPETITION, and families simply call them CHAOS. Dr. Lyles’ research and clinical experience has isolated the common elements of stress in order to ultimately help people get better at whatever they do. Others seek to minimize the damage stress has on their clients life, job or sport. Dr. Lyles believes we can use stress to focus and direct energy to thrive in our performance and mind/body alignment. A simple definition of stress could be described as "any opposing force, potentially limiting forward progress." Thus Dr Lyles has introduced “InnerVitals” inner body cameras to provide information so top athletes, musicians and even everyday gamers can better harmonize their mind and body. 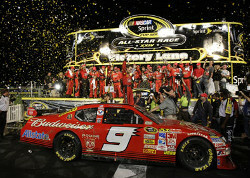 This technology was launched before millions at this years’ Indy 500 on May 24. For the first time Indy 500 telecast used bio telemetry to show driver’s heart rate and calories burned to enhance the fan experience. This integrative philosophy brings an entirely different definition and response to good stress, athletic performance, and everyday life. Top athletes utilize our “InnerVitals” body cameras and stress optimization techniques, now you can too. Learn to harness the power of total body mind synchronicity and showcase your talent and skill under pressure! Terry is an important part of the Gillet Evernham team. He brings a positive thought process to any situation and keeps our key crew members and drivers focused on what is important - performance! DOWNLOAD A FREE COPY HERE! For the first time, Indy 500 telecast used tech to show driver’s heart rate and calories burned. CNN's Don Lemon talks to Dr. Terry Lyles about soldiers coping with the strain of battle in Afghanistan. 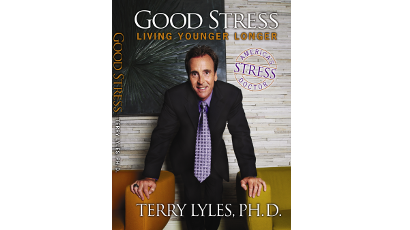 Dr. Terry Lyles appears on MSNBC in the segment "Exhausted & Stressed Out". Dr. Terry Lyles discusses the "Fire in the Hole" prank with Fox & Friends. Dr. Lyles talks about stress management during natural disasters. Dr. Terry Lyles holds a Ph.D. in psychology and is recognized as a national/international educator, author and speaker to universities, schools, Fortune 500 Companies, world-class athletes, and public audiences. He teaches groups of all ages how to Navigate Life Storms through life balance training. 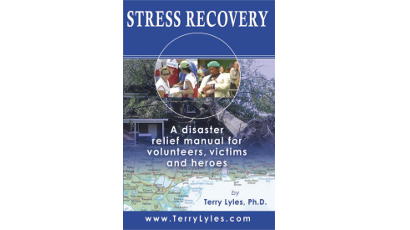 Dr. Lyles has trained hundreds of individuals including Fire Rescue workers in and around Ground Zero, International Forensic Medical teams in the Asian torn Tsunami area and the United States Air Force Space Command, sharing his time-tested, scientifically measured approach to stress utilization. Major corporations have also benefited from this training technology such as DaimlerChrysler, Banana Republic, Macy’s West, Pfizer, Universal Studios and Tommy Hilfiger, to name just a few. Dr. Lyles has appeared on NBC, ABC, USA Today, CNN, Headlines News, The Big Idea with Donny Deutsch and FOX NEWS, and in U.S. News & World Report as a Corporate Performance Enhancement and Life-Balance Specialist, and hosted a premiere talk show sponsored by Success Magazine, and was heard as the “Stress Doctor” in South Florida. Dr. Terry Lyles is the "Stress Coach". He has appeared on CNBC's The Big Idea with Donny Deutsch & On The Money; NBC; ABC; USA Today; CNN, HLN, and FOX NEWS, and in U.S. News & World Report as a Corporate Performance Enhancement and Life-Balance Specialist. He hosted a premiere talk show sponsored by Success Magazine, and was heard as the "Stress Doctor" in South Florida. Dr. Lyles specializes in human performance under pressure through mind/body work-rest cycles. This unique technology of stress utilization has been used by companies such as DaimlerChrysler, Estee Lauder, Pfizer, Universal Studios, Tommy Hilfiger, and has been quoted by many within these organizations as providing "a life changing experience" and "the greatest stress management training I have ever seen". This technology is utilized by the military, special forces, the performing arts, professional athletes, including NASCAR's Richard Petty Motorsports Team. Dr. Lyles' book, "Back to Utopia: Unwrapping Life's First Gift", covers how stress , competition, and chaos can be harnessed to actually increase productivity and performance without causing undue hardship to the body. It offers specific tools on how people can redirect negative stress into positive constructive energy. Redirecting the trauma of stress was at the heart of the training Dr. Lyles used these techniques to do for hundreds of corporate and public safety workers in and around Ground Zero in New York following the 911 tragedy, and in the Tsunami Rescue and Recovery effort. "When there's no time left on the clock, you're 2 points down and on the foul line, what is that person thinking about before they shoot the shot? If they have one mental thought that says, 'If I miss this shot we lose' ... within moments, they are secreting negative brain chemistry," says Terry Lyles, psychologist. It's all about taking yourself out of the moment, he explains, about using rituals to transport yourself before the shot or point. "They have to go from the mental side to tap into the emotional side next, which takes them to the physical part, which will be to shoot the foul shot. They've shot thousands of foul shots, but the issue is not shooting the foul shot, the issue is screaming fans, no time on the clock, and your whole team is looking for you to perform. The issue is focus." "The goals here come straight from basic psychology: to unearth who you really are, to decide who you want to be, and to take action. Clients are taught to alternate periods of intense stress with periods of relaxation or release, in fitness and in life. "In the corporate world, people are trained to be linear," says Terry Lyles. "They start the day and don't take breaks." He explains that an emotional and mental shift down - a rolling pattern as opposed to a straight line - will allow executives to come back and be totally refreshed. Human performance measurement in the field of sport science is well documented. Merging biotelemetry and psycho-telemetry is the foundation for Dr. Lyles’ approach that has yielded quantifiable results with elite athletes worldwide many times over the last 20 years. Understanding the limits of the human body and how to maximize and conserve energy levels before, during, and after performance is the key to consistent results. It is also fascinating to observe and hold entertainment value as was evidenced in 2015's 99th running of the INDY 500 where TLC's "InnerVitals" were featured live before millions of fans on ABC, the worldwide leader in sports. For the athlete, optimizing performance means learning how to harmonize the mind/body experience, or go in the ZONE at will under pressure, and with consistent results. Rituals before, during and after performance must be coupled with oscillatory stress/recovery cycles that align specifically for each performance. This is best obtained with a performance coach to direct and hold accountable for a training duration. Using a performance coach can shorten the learning curve for healthy change, and secure the desired results that elite performers worldwide expect and deserve. Dr. Lyles has worked with NASCAR's Evernham Motorsports, Richard Petty Motorsports, NHRA’s Snap-On sponsored Doug Herbert Racing, and Sports Car Rolex Series Daytona 24 Champion John Pew. Team Penske, Disney, ABC and ESPN. This virtual stress coaching self-improvement social networking website will influence users with the help and resources necessary to develop personally, relationally, and occupationally due to the negative influence from this current economic tsunami. This site will open a new world of meeting other people in similar situations who may also be losing jobs, homes, savings, and the future expectations of living a better life in the near future. 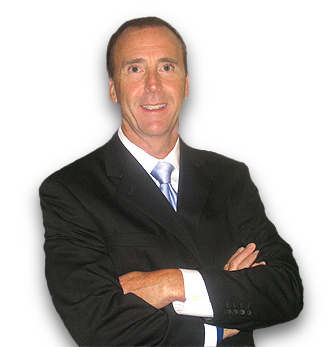 Membership includes discounted products and services, customized advanced coaching, webinar training events, weekly tips, allowing individuals to experience the edutainment dynamics that Corporate America, US Military, and professional athletes have enjoyed for years from the unique style of communication from Dr. Terry Lyles. This unique time in history with stress affecting everyone from students, stay-home moms, corporate performers, and athletes can now experience the power of taking control of the best that life has to offer by receiving this life-changing program for overall life-success and personal development like never before. Our unique “Stress Indicator” data monitoring system allows users to evaluate monthly accountability “weigh-in” for sustained progress and compare that progress within their network of friends. This online voice recognition software is a part of the $9.95 monthly membership to assure customized personal-growth progress with sustainable accountability. Crisis and tragedy are approached in two phases; the first is “search and rescue” and the second is “recovery.” The economic tsunami that hit us in 2015 is just now entering the recovery phase, and I have assisted in recovery training around the world including Ground Zero, the Thailand Tsunami, Haiti earthquake, and hurricanes on a regular basis. The world is ready to succeed in this new and undiscovered economic landscape, but most are not prepared for the next evolution of chaos and change that awaits everyone without proper training and exposure to this life-changing virtual stress coaching program. Choose to participate in this exciting opportunity that will impact your life in history so we can be a part of the solution instead of a casualty... ...beginning now! Click below and join the growing number of people who have started their journey toward recovery and growth to an exciting new day. It's not what happens to us in life that defines us, it is our response to what happens. Back to Utopia is as simple as rising to the occasion, each and every day, no matter what life throws your way. The Back to Utopia complete set includes the book, audio CD, and DVD. 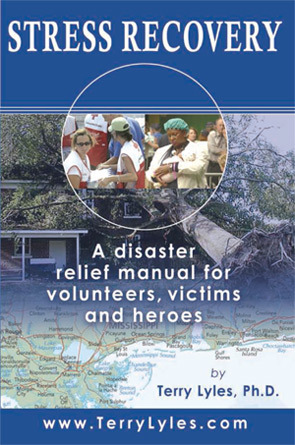 The Stress Recovery manual was designed for disaster relief impacting volunteers, victims and heroes. Four areas define your individual potential in the midst of life storms – the mental, emotional, spiritual and physical. The mind supplies critical data for your mission. The emotions are your instruments for navigation. The spirit is your radar that provides purpose and your body is the vehicle for discovering Good Stress. This Challenge coin is a key concept to be reminded of the personal power to convert Bad Stress “Threat” into Good Stress “Challenge” on a daily basis. Straight out of the military concept of rewarding special service, this is my reminder to you of the power of “flipping the coin” to produce the results you want daily!